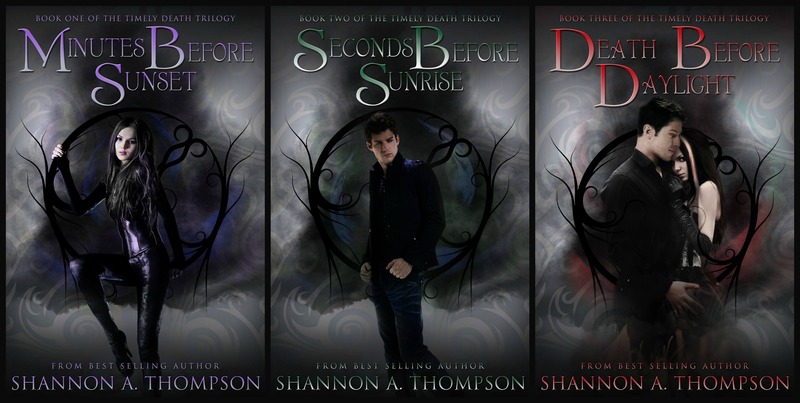 Shannon A. Thompson is award-winning, young-adult author, poet, and blogger. Represented by Clean Teen Publishing. 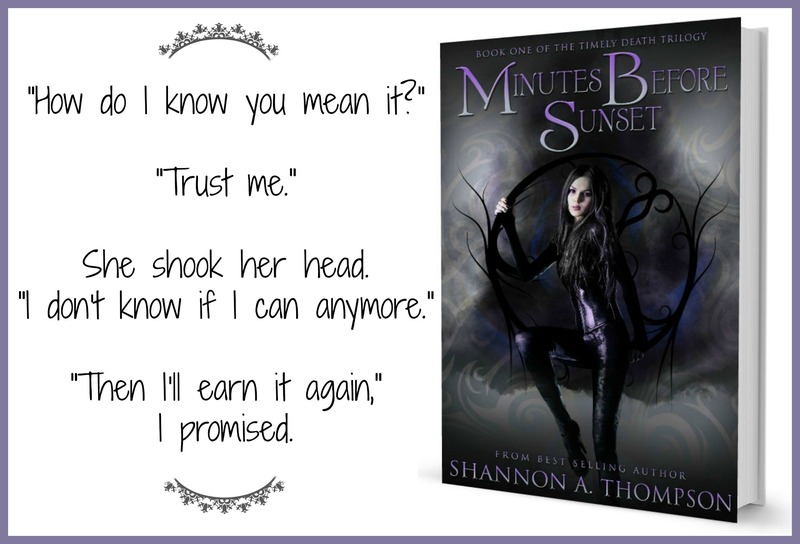 Shannon is a 24-year-old author, avid reader, and habitual chatterbox. 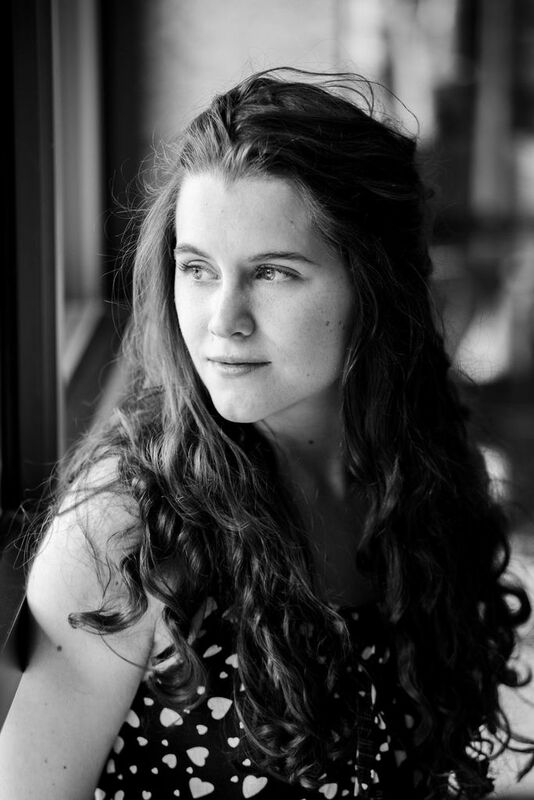 She was merely 16 when she was first published, and a lot has happened since then. Thompson’s work has appeared in numerous poetry collections and anthologies, and her first installment of The Timely Death Trilogy became Goodreads Book of the Month. 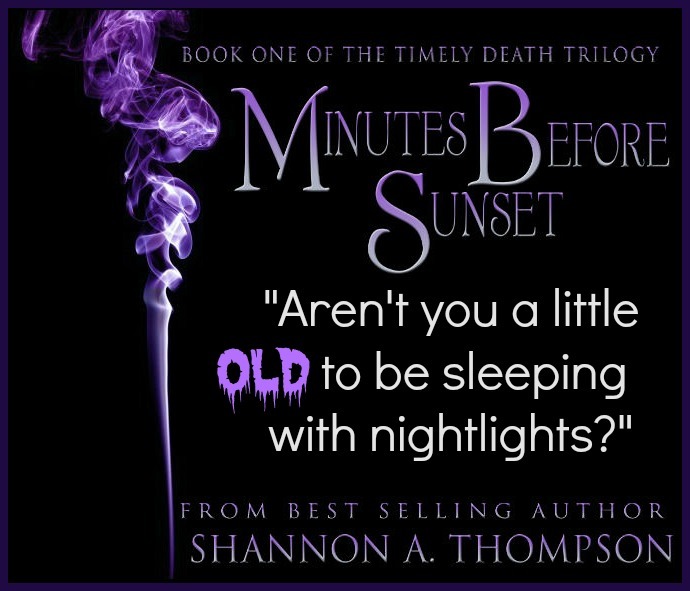 In this interview you will be able to learn More Than You Ever Wanted to Know about her and her new release of Minutes Before Sunset, book 1 in The Timely Death Trilogy. Like many writers, I started writing at a young age, but I began writing as a coping mechanism for night terrors. My mother was a writer, so she encouraged me to write and to turn my dreams into stories in order to make sense of them. Did you intend to become an author, or do you have a specific reason or reasons for writing each book? The day I intended to become an author—seriously intended to be one—was the day my mother passed away. I was eleven years old, and I guess you could say I snapped. I decided I wanted to write for the rest of my life, and I wanted to write seriously. 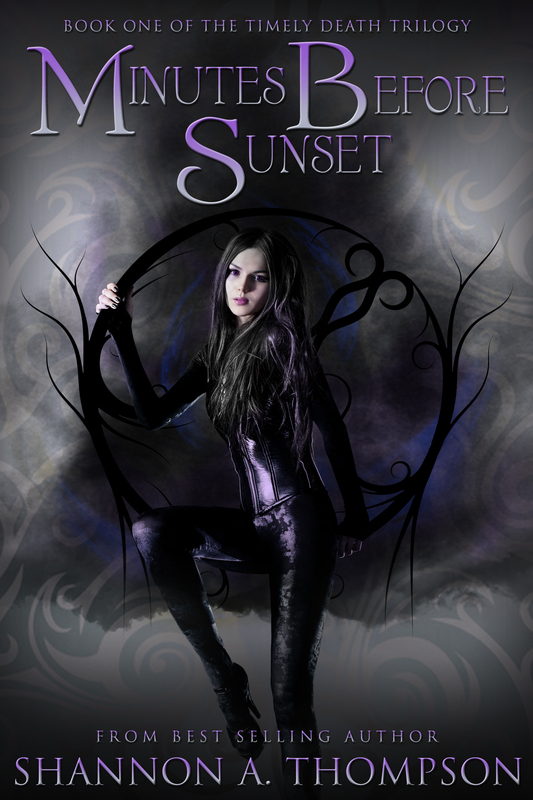 I pursued novel writing and publication right away, and my first novel was signed and published when I was 16. I haven’t stopped since. I love it more and more every day. Most of my novels are still based on those dreams I had that she encouraged me to explore. Oh! I’m sure every book I’ve ever read has influenced my writing, but the ones that stick out to me the most are the Magic Tree House series, The Daughters of the Moon series, and anything by Meg Cabot. What is the name of your NEW book? Where’d you get the main idea? The reason this is happening is because this trilogy was originally with a different publisher that closed down right before the last book came out, and my new publisher signed it on! Like stated above, most of my novels are inspired by dreams/nightmares I’ve had. The Timely Death Trilogy is based off of a serious of dreams I had as a teenager, which included a boy coming to visit me at night. At first, it was calm—simple conversations—and then, it turned deadly, and dark, and terrifying. When they suddenly stopped, I knew I had to finish the tale. Are the characters old or new? All the characters in The Timely Death Trilogy are found only in the trilogy. Did you have any goals for the story when you wrote it – to get published, or just to finish, etc? I don’t worry about publication until it’s time to. That being said, I didn’t publish it immediately. I left the publishing industry while I went to college, and during my last year of college, my first publisher of this series signed it. During the first month, it received an award—Goodreads Book of the Month—that was awesome! I signed on with a new publisher this past January, so it’s coming out again with new scenes, typography, and wonderful covers! Which chapter you like the most and why? In Minutes Before Sunset, I loved the scene between Jessica and Eric in Eric’s room to study. Without giving away too much, I think it was the first time they actually saw one another and opened up to each other as humans. Is there any secret message in the story? Which actors / actresses you would like to play your characters? I’m not one to pick actors/actresses to be honest, but I do have a Pinterest board where I find pictures that remind me of scenes and characters. I also have an Extras page on my website with fan art, room layouts, and more. Are you working on a NEW BOOK and if yes, what is it about? When should we expected? Any last thoughts for my readers? I would love to see you on my website for readers and writers at www.ShannonAThompson.com. I’m also on Facebook, Twitter, and Instagram. The Timely Death Trilogy will be released in full this fall. Where can my readers find MORE about you?